Scaling innovation is always one of the hardest things to do. Very few technology companies can lay claim to be constantly innovating, consistently profitable and continually relevant even as technology continues to get obsolete at a faster pace than ever before. 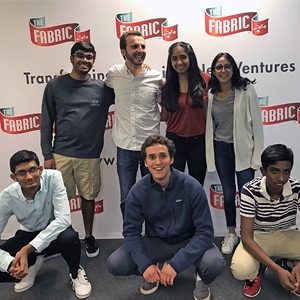 We at The Fabric were very fortunate to spend time with seven interns who closely worked with our portfolio companies in the Mountain View office this summer. 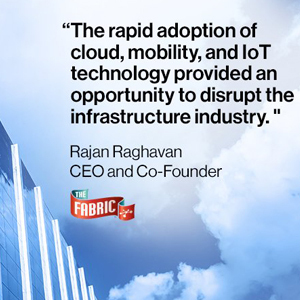 The Fabric co-creates companies with entrepreneurs in the cloud and IoT infrastructure space. 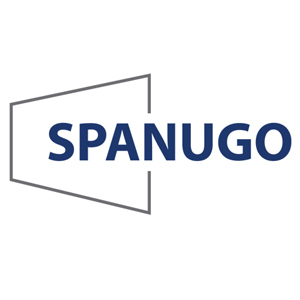 Our co-created company Spanugo has raised a round of funding by Ideaspring Capital. 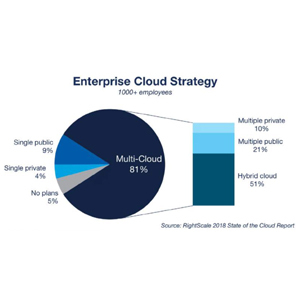 Let's all go to multi-cloud! 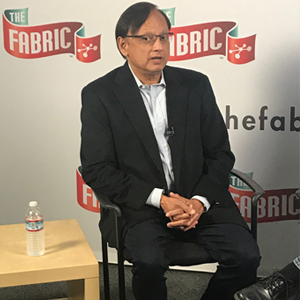 The Fabric, a pioneer in co-creating companies focused on cloud and IoT infrastructure technology, today announced that the following new advisory board members have joined: Pankaj Patel, former EVP and CDO with Cisco, and Alan Boehme, CTO of P&G. 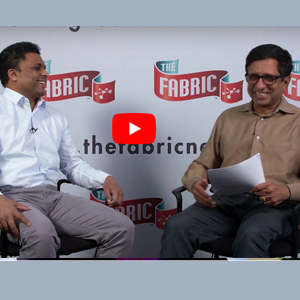 In a recent video interview, Verizon Ventures' Vijay Doradla sat down with The Fabric’s CEO, Rajan Raghavan to discuss Verizon Ventures' recent investment in The Fabric as well as emerging technologies in the enterprise including 5G, IoT infrastructure, cloud computing and more. 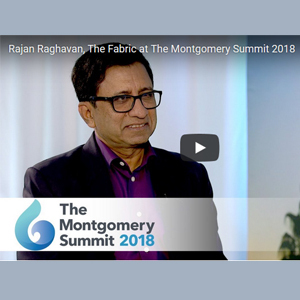 Rajan Raghavan, CEO of The Fabric, for Monty TV at The Montgomery Summit 2018 talks about The Fabric’s co-creation approach in building companies in the cloud and IoT infrastructure space, where and how to find the next big entrepreneur and the next big idea. 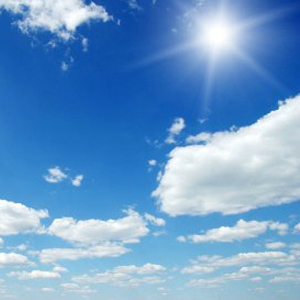 Mountain View, CA - May 9, 2018 - The Fabric, a pioneer in co-creating US-based cloud and IoT infrastructure companies, and EVO Venture Partners together announced a joint collaboration to build venture-backed startups in Europe. 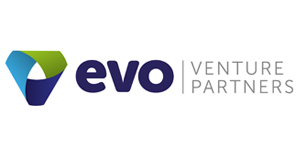 Through this strategic partnership, EVO Venture Partners has invested capital into The Fabric, and through its European-based data centers, it will provide incubation and product trials for companies that they co-create together. When Prabakar Sundarrajan and I left Juniper after the acquisition of Ankeena, we wanted to continue our entrepreneurial journey. 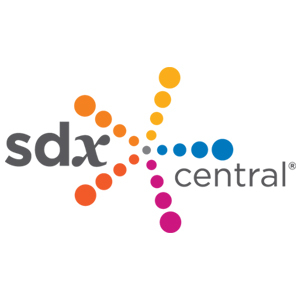 The rapid adoption of cloud, mobility, and IoT technology provided an opportunity to disrupt the infrastructure industry. The idea of providing an ecosystem for entrepreneurs and investors to come together and create new companies was appealing to us, but we didn’t want to simply provide funding, office space, and access; we wanted to actively collaborate with entrepreneurs and co-create The Fabric’s startups. 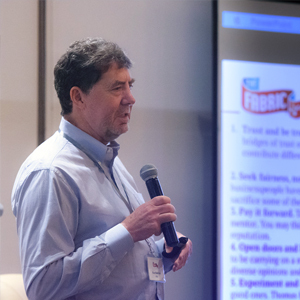 Mountain View, CA - April 25, 2018 - The Fabric, a pioneer in co-creating companies focused on cloud and IoT infrastructure technology, today announced the close of $20 million in investment from Verizon Ventures, March Capital Partners, Citrix and Hitachi along with key individual investors. The investment firm The Fabric is set to unleash $20 million in new funding having sourced $20 million from the likes of Verizon Ventures, Citrix, and Hitachi. Those funds are targeted at startups. And hope springs eternal that one of those investments hits a return like it found with the likes of VeloCloud, Perspica, and Appcito.